Formed in 1942 as the Women’s Auxiliary Army Corps, the name was shortened to Womens Army Corp. 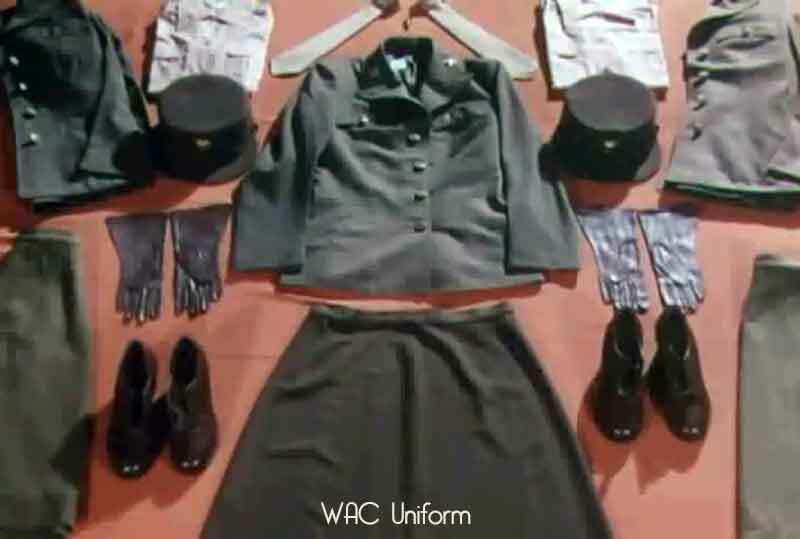 The WAC uniform went through several stages of development. The most recognizable item of the WAC uniform was the hobby hat named after WAC director Oveta Culp Hobby. The WAC cap had a jaunty visor design, created by the Stetson Hat Company. The WAC wore a belted coat designed by Maria Krum, with button-in lining. Neither jackets or skirts had any pockets. All WACS were issued shoulder bags. Shoes were oxfords, worn with rayon stockings. 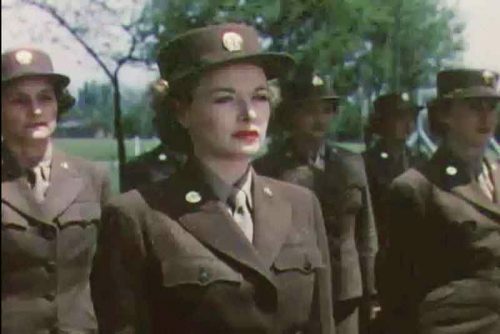 The WAC colors were dark and light olive drab, similar to the enlisted men. 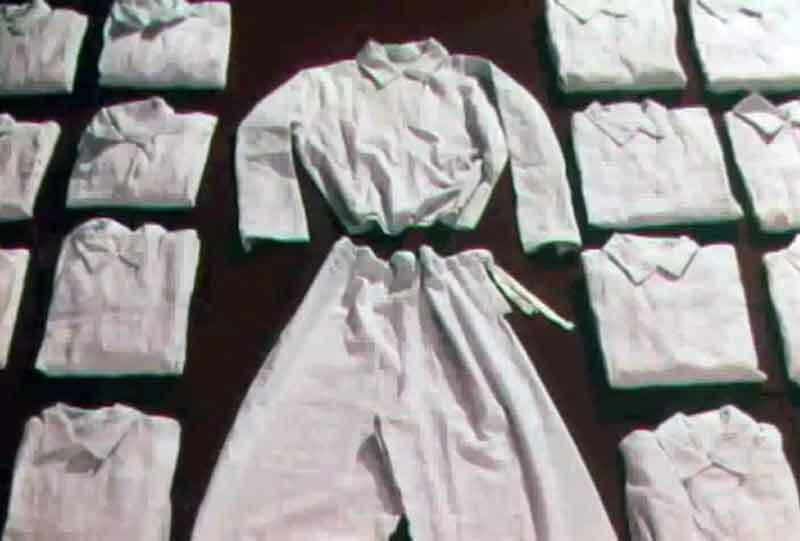 Above are the early women’s army ‘auxiliary’ uniforms. Left: a dark light olive drab officers uniform. 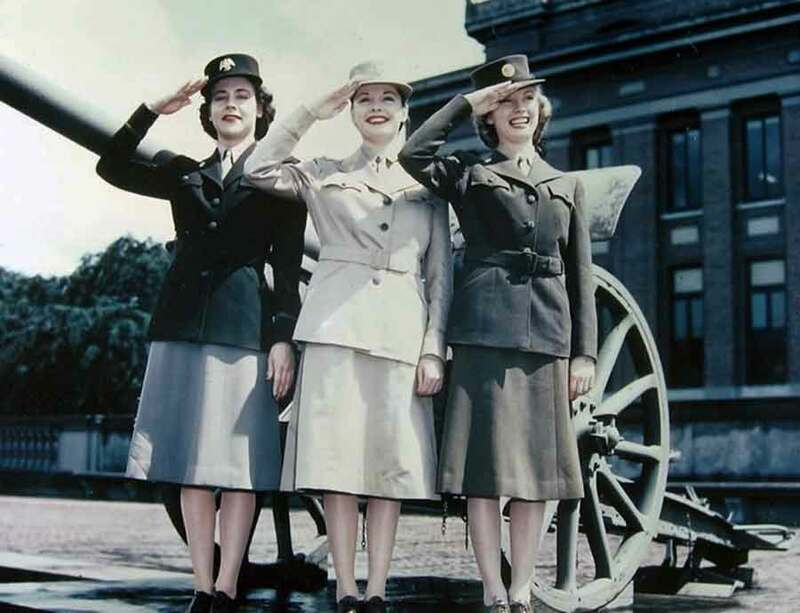 Middle: uniform is a khaki summer uniform which the very first WAACS wore in 1942. Right: A winter uniform of olive drab. The belt, worn with all three uniforms was was removed by 1943. The early uniforms were not popular with the women. Made by the Philadelphia QM depot, who were used to creating men’s uniforms. In July 1943, the WAAC was renamed the Women’s Army Corps or WAC. 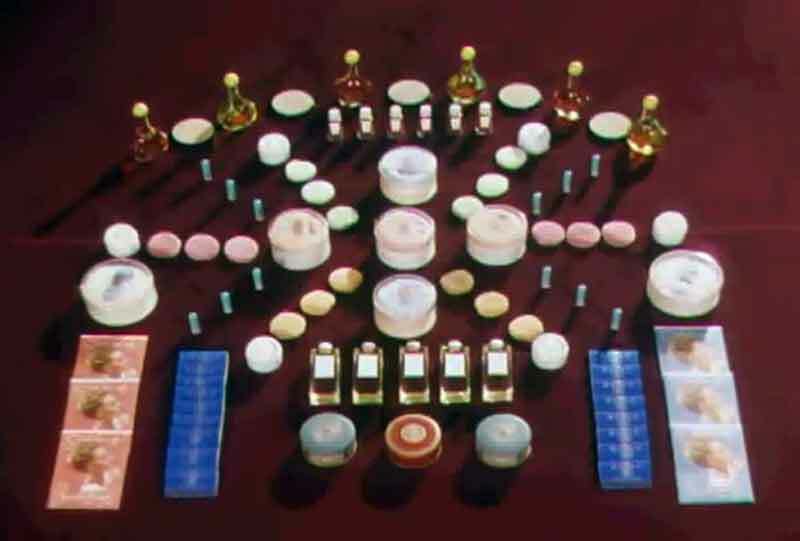 Feminine changes were made to the uniforms by women designers. They created smarter and finer tailored skirts, shirts and jackets. 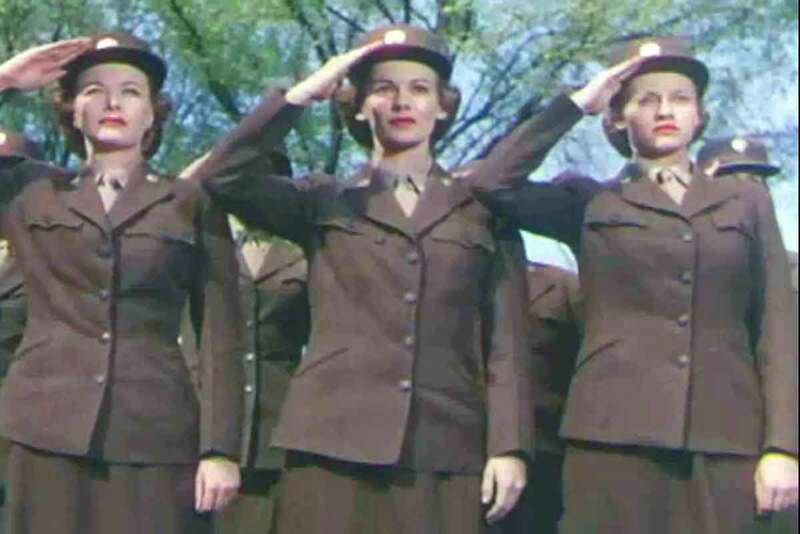 By the end of that year, the WAC was considered one of the smartest dressed women’s outfits in the Forces. For summer, the khaki was replaced by lighter uniforms. A WAC recruitment film made in glorious technicolor in 1943 featuring a much more glamorous look WAC style. Download our fabulous Wartime Womens Memorabilia Pack direct to your device now. 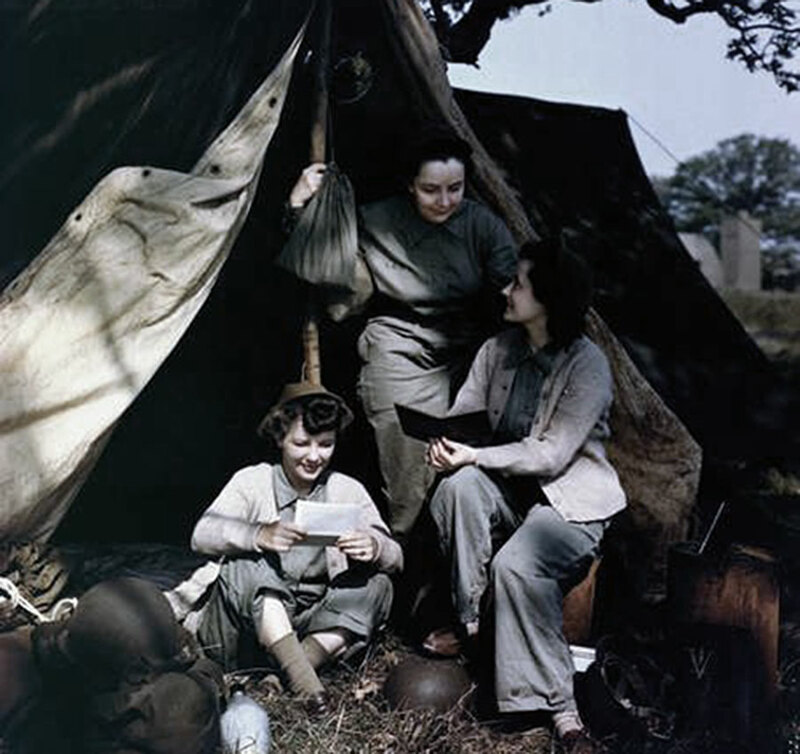 Read our related posts on wartime women of the 1940s.